Never fear Mindsetters! We are here every step of the way to support you in your Supplementary Exams! Below are a list of lessons that cover all of the Geography topics. So, download the notes, watch the videos & give it your best! In this Exam Revision lesson we take a close look at Gr 12 Geography questions and answers relating to Climatology. In this Exam Revision lesson we take a close look at Gr 12 Geography questions and answers relating to Geomorphology. In this Gr 12 Geography show we take another look at Settlement. In this lesson we revise rural and urban settlements. In this Gr 12 Geography show we take another look at Economic Geography.In this lesson we revise Agriculture & Mining, Secondary & Tertiary Sectors, Strategies for Industrial Development as well as the Informal Sector. In this Exam Revision lesson we take a close look at Gr 12 Geography questions and answers relating to Mapwork Skills & Calculations. 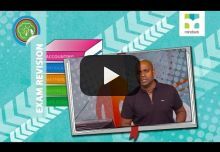 In this Exam Revision lesson we take a close look at Gr 12 Geography questions and answers relating to Mapwork Questions. 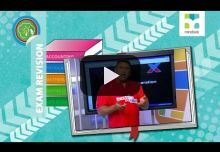 In this live Gr 12 Geography Exam Revision show we revise the following Paper 1 concepts: climate and weather, geomorphology, settlement and economic geography. 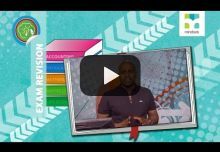 In this live Gr 12 Geography Exam Revision show we revise the interpretation and analysis of topographic maps. We revise calculating area, magnetic bearing, grid reference, average gradient, vertical exaggeration as well as drawing a cross section.